Colorado Springs Work Group: Meets 3rd Saturday at Faith Presbyterian Church, 1529 N. Circle Dr. Contact: Lyn Hente at 719-499-0415 or slamhente@comcast.net for more information. 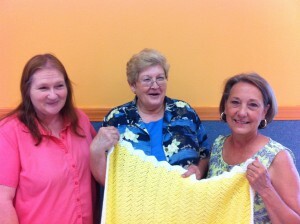 Linda Waxler and her sister, Nancy Staup joined Victoria Swain before WHWB existed (Newborns in Need). They met her at a Safeway where Victoria was doing a ‘fill the cradle” fundraiser. Linda started the Colorado Springs workgroup in 1999. Her first member was her mom, Lois Page, but she had to share her with Nancy and the Brighton group and they did mainly quilts. Soon, they had 3 or 4 people including Roberta Ballard . They would drive to Brighton and attend their work meetings as well as meet at Linda’s house. Soon, they had enough members and needed a larger place. Angel Beyer & Marge Leonard were members of the Rustic Hills Baptist Church and were able to get use that church as their new home. But they were still driving up to Brighton – or meeting them half way- to exchange finished items for supplies. 8 to 10 years ago, Linda walked into Tantrums, a local children’s consignment store and asked owner Shelly Mason if she had any used clothing she would like to donate. She said yes and has been donating ever since. She provides much of the ‘gently used’ clothing we use in the Springs and in Brighton. As they continued to grow, they found their current home at Faith Presbyterian Church, where they meet Saturdays from 10 to 2pm with a potluck at noon. Members bring finished items which are counted and packaged and lots of work gets done – along with some teaching, sharing best practices, patterns and course having fun. Storage for their supplies and finished products then and now is still their homes. They also make up layettes to be delivered in their homes as well. Anyone with a spare inch of space may be ‘blessed’ as a ‘storage cabinet’. The Colorado Springs group is unique in that it is self-sufficient, everything (ok..almost)they send out to their region – the Springs, Pueblo and southern Colorado is made, purchased or donated by the group and people in the area, with enough to share with Denver and Brighton. 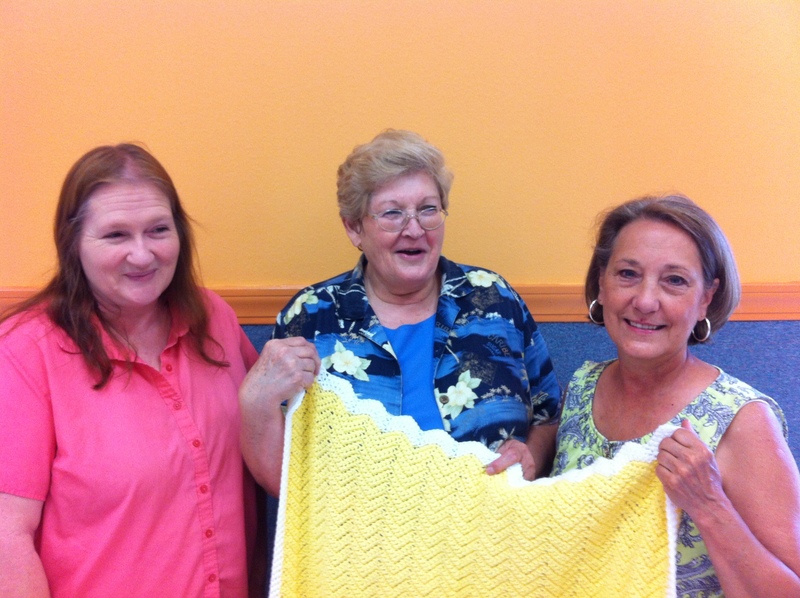 Several years ago, they did a special project for Memorial Hospital where the hospital’s Woman’s auxiliary group funded the project and the group designed sheets for the NICU mattresses, burp cloths and receiving blankets to match. Ryan Waxler, (Linda’s son) was the WHWB website manager for more than 5 years. Linda Waxler heads the group with her right-hand gals Linda Posey and Angel Beyer. The Lindas , do most of the deliveries while Angel is the contact for the church and groups they work with, matching the needs of the groups with the resources of the group. Recently Lyn Hente has taken the overall leadership role of the group. Linda Waxler remains a dedicated volunteer. Thank you to all who contribute to the mission of WHWB in Colorado Springs.